The first and the basic tool for the upgrading of MINI Cooper S. New version Ver. 2! 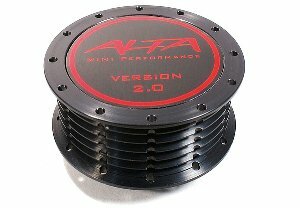 Supercharger Pulley is designed to offer quality, reliability and ease of installation. Recommended to use the respective belt. Dimensions: 15%, 17% and 19%.